DR: How did you come up with Gina S. Miyoko? MKB: I honestly don’t remember except that she arose from a dream I had, the plot of which (yes, my dreams often have plots) I don’t remember. I knew I wanted to write her as the protagonist of a mystery novel, and I knew I wanted her to be different from the female P.I.s I’d read. I love mystery and crime fiction but I noticed that all the female protagonists were alienated and broken and party to dysfunctional relationships. I wanted Gina to be flawed and have enough pain in her life to be relatable, but I also wanted her to be part of a very functional, if quirky family and support network. Among the Japanese names I was considering, Gina Suzu Miyoko meant ”Silver Bell Temple”; Tinkerbell became an inevitable nickname. And her personality just grew out of that. DR: And Russian Orthodox witches? MKB: Around the time I was developing Gina and the characters that would surround her, I was reading a book entitled THE BATHHOUSE AT MIDNIGHT: An Historical Survey of Magic and Divination in Russia (WF Ryan). I was reading it because the novel I was working on at the time (MAGIC TIME: ANGELFIRE, from Harper-Voyager) had a Russian ex-pat as one of the central characters. Okay, and also I’m Russian-Polish on my father’s side and have been fascinated with the folklore and history of slavic culture since I was a child. Probably more so because my grandmother was so adamant that I not be taught anything about the Old Country but be brought up thoroughly American. In any event, the book sparked the idea that I wanted Gina’s mother to be Russian and fascinated by arcana. She was originally going to be a psychologist, but by the time I started writing the book that became THE ANTIQUITIES HUNTER, she had morphed into a cultural anthropologist and folklorist. As tends to happen with these things, as I began to write the characters, they essentially told me who they were. I’m sure you know the feeling—as if the character is inside your head whispering sweet somethings to your Muse. DR: Can you talk about Tinkerbell on Walkabout—the novelette that describes how Gina became a detective? MKB: I wanted to document Gina’s genesis as a PI, but the plot actually came about as a weird synthesis of several real-life moments. I lived in Grass Valley for about 35 years and set it there in part because of an experience I had being a founding member of Nevada County Citizens for Racial Unity, a group that formed after a black man who’d just moved to the area was beaten up by a bunch of white teenagers in a local park. That caused us to consult with the California Highway Patrol about the forces of racism in the area. What our CHP liaison told us about gangs from Colusa and Yuba counties trying to gain a foothold in Nevada County gave me most of the plot elements I wanted for the story. A visit to Charlotte, North Carolina one Christmas occasioned me seeing the mostly scrupulously tidy wrecking yard I have ever laid eyes on and that gave me a key element in Gina solving the crime that lies at the heart of the story. DR: Did you research PI procedures like the post-it notes and Who/What/When etc? MKB: I have to laugh. The post-it note method is something I’ve used to plot novels for years. It seemed to me that my post-it process would be as ideal for working out the nuances of a real world mystery as it is for plotting a novel. My editor suggested editing the scene in which you first see Gina use the post-its so that she just wrote on the white board. I declined and explained the beauty of post-its to her by having Gina demonstrate it for the reader. DR: How did you become interested in the problem of looting of antiquities? Why the Southwest? MKB: I have loved archaeology for as long as I can remember. I subscribed for years to Archeology magazine, and KMT (Kemet – which is the old Egyptian name for Egypt). I happened to read an article about a female undercover agent for the National Park Service and the sort of work she and her teammates did, chiefly in the Southwest where there are a lot of vulnerable caches of artifacts, mostly on First Nations land. But I’d also been following several international cases at the time—the Elgin Marbles that the British Museum had to return to Greece and the blackmarket cases that big US auction houses and museums alike had been implicated in. I was also following the rediscovery of the Rosalila (an utterly fantastic nested temple at Copán in the Honduras) and some amazing finds at Bonampak, which is in Chiapas, Mexico. It was that last item that gave me the location for some of the action in the book. I sort of let all of that percolate and it seemed natural to have my protagonist have the experience I’d dreamed of having—seeing those antiquities first hand. More than that, I wanted her to have a hand in saving some of them. The lack of funding for preserving these sites is a real and persistent problem in the world of archaeology. DR: These days cultural appropriation is a sensitive topic. How did you go about portraying Hispanic, Asian, and Native characters in a respectful manner? MKB: I suppose every writer has their own approach; mine is to love the people I write about and to recognize that they’re people first, not representatives or symbols or archetypes of a particular culture. But, in writing them, I have to recognize that their cultural framework will condition their responses to things. So, to Rose Delgado, though she’s married to a non-Hopi, living in Sausalito and working all over the country, she’s still Hopi. That means that Hopi lands are still sacred to her and that she takes the theft of native artifacts personally. Her job is more than just a job because of her cultural background and her investment in it is different than the other members of her team. To me, Gina’s tattoo is exemplary of the cultural intersectionality I’m portraying. It’s a Russian Orthodox True Believer cross with a Buddha seated at the nexus in a lotus blossom. The cross is for her mom, the Buddha for her dad. Gina calls herself a Russian Orthodox Buddhist, which is an echo of what I told people who asked about my religion before I became a Baha’i. I’d say I was a Hindu-Buddhist-Christian. So, what I was trying to capture in Gina was a character who was an intersection of three cultures—Japanese, Russian and American. I’ve been privileged to have been surrounded by people from diverse cultures all my life and I think that if you approach characters of any culture with curiosity, love and an attitude of learning, you’ll strive to portray them as complete, three-dimensional human beings. DR: Is there such a thing as SASH (Society for the Appreciation of Sherlock Holmes), and would you join? MKB: There’s a Sherlock Holmes Society of London, but as far as I know, there’s none in the Bay Area—at least not like the one Gina’s dad, Edmund, is part of. I made it up. Or maybe Edmund did. I would totally join SASH if there was one around. I love Sherlock Holmes—in fact, I have a Sherlock Holmes pastiche idea I’d love to write. DR: What have you written recently? MKB: I’ve been doing a lot ghostwrites lately. And they have been diverse and interesting. I just finished up a YA set in Seattle, and am still working on one that also makes use of my deep love of archaeology. Beyond that, my dear agent is shopping a crazy range of novels I tossed at him, including an SF novel with a peculiar genesis that I’d love to see be the first of a trilogy, a YA paranormal/contemporary fantasy featuring a 14 year-old-protagonist who discovers she’s a witch from a long line of witches, a magical realism yarn that is my take on the old Russian fairytale, Frog Princess, and a paranormal romance that I collaborated on with a couple of show runners from LA. DR: What lies ahead? What lies ahead for Gina Miyoko – are new novels in the works? 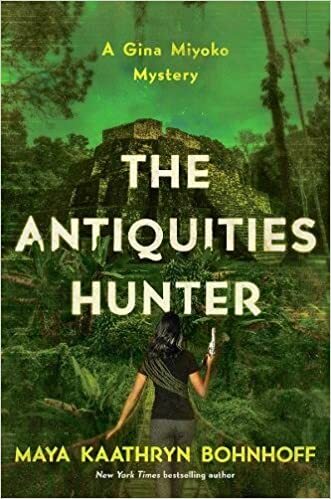 DR: How does The Antiquities Hunter fit into your repertoire of published works? MKB: It’s a real outlier among outliers. 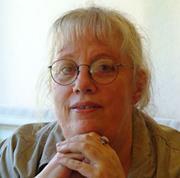 I started out writing science fiction. In fact, I’d published a bunch of stories in Analog before I shifted gears and wrote four epic fantasy novels all based on dreams. Then I discovered magical realism and fell madly in love with it. That caused my writing to take a weird turn that peaked with ”The White Dog” (Interzone). In moving over to crime fiction, I’m really pursuing something that’s fascinated me as a reader for years. I’ve been in love with mysteries and detective fiction forever. So, even though THE ANTIQUITIES HUNTER looks like a departure from the outside, from where I sit, I’m just writing what I’ve always read. I also realized, when I looked at the fiction I’ve written, that most of my stories have a mystery embedded at the core—sometimes blatantly, as in ”The Secret Life of Gods” and ”Distance” (Analog), or in a veiled way as in my novels THE SPIRIT GATE (originally from Baen, in reprint from Book View Cafe) and STAR WARS LEGENDS: SHADOW GAMES (Del Rey/Lucas Books). DR: What authors have most influenced your writing? What about them do you find inspiring? MKB: My greatest prose heroes are Ray Bradbury, W.P. Kinsella (whom I cast in DISTANCE with his permission), and Tim Powers. These are the writers whose use of language, storytelling chops, and sheer imagination made me hungry to write. Bradbury and Kinsella have written some of the most beautiful and evocative prose in the English language and Powers has given me epiphanies about the many ways reality can collide with the fantastic. I admire Dean Koontz, JK Rowling and Sue Grafton as well, especially for their character development chops and the uncanny way they connect the reader to their characters from page one. I also have to credit Harry Turtledove (who’s written some of my favorite Analog stories) with making me stray into alternate history, with my novelette ”O, Pioneer” (Paradox) which takes an upside down and backwards look at Christopher Columbus’ ”discovery” of the Americas. 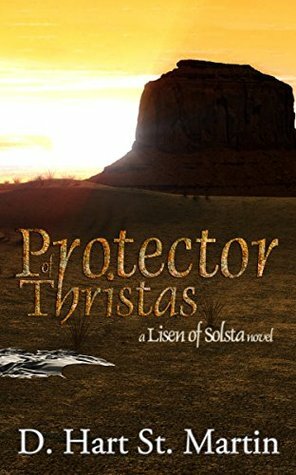 DR: Why do you write what you do, and how does your work differ from others in your genre? 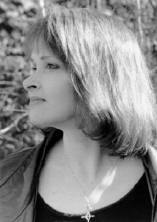 MKB: I write what I do because either a character demands to be written about (Gina Miyoko being a case in point) or an idea demands to be explored. I thrive on exploration. It’s why I love road trips (What’s around that next curve? ), research, archaeology (What is that thing I just dug up? ), first contact stories, and mysteries of every kind. Writing is exploration I undertake to satisfy my insatiable curiosity about what if. I’ve been told that I write fantasy with rivets, meaning that my fantasy work tends to take a very pragmatic approach to the fantastic. It works the other way, as well. My Gina Miyoko stories have an undercurrent of the supernatural to them if the reader chooses to read the pragmatic references to obereg (the good luck charms her mom is forever sneaking into her pockets), Holy Water, and spells as being more than just a concession to Nadia Miyoko’s avocation. This means that my fiction often falls through the cracks. When I sent ”The White Dog” to Interzone, the editor wrote back and said essentially, ”I loved it, but where’s the fantasy element?” I responded, ”In the eye of the reader.” He bought the story and it was a finalist for the British Science Fiction Award. DR: How does your writing process work? MKB: Mileage varies … a lot. With short fiction, I’ll sometimes scribble a handful of questions that become notes and when I see a beginning and end, I start writing. With novels, I sometimes get out the sticky notes. I had a great little flow chart app I used for a while, but they stopped making it. I use Evernote to toss bits and pieces into, as well. The sticky note brainstorming is still the best method I’ve found of plotting a novel because it allows me to visualize relationships between characters, their motivations and other plot elements. Once I’ve charted something that way, I write a synopsis that becomes a living document that I can add to as I work. At some point the characters start yakking and doing things and I have to start writing. I used to have to write everything in #2 pencil on lined paper first, then edit as I committed it to the computer. Then I’d do that until roughly the last third of the book when the boulder started rolling downhill. But for some time now, while I still love writing notes long hand, I do all my writing at the keyboard. I’ve only ever had a laptop, because I feel the need to be portable. Sometimes a silent house is the best place to write, and sometimes a noisy coffee shop is best. I’ve also learned to give myself permission to do what I heard one writer refer to as ”moodling”. It looks (and feels) like I’m not doing anything, but my mind is hard at work looking for connections. And when enough connections are made between elements and characters, the writing happens. Whenever I sit down to write, I always read back what I did previously. I tried Hemingway’s stopping in mid sentence and it only led to frustration. DR: What advice would you give to an aspiring writer? MKB: First, write without editing. Ray Bradbury famously said of writing, ”Don’t think.” He advised hiding your editor hat and just getting the bones of a story or a scene down without worrying about whether you found the right word. THEN, put on your editor hat and edit. This can make the difference between a story ending up attached to an email on its way to an editor’s inbox or ending up in an obscure file folder. Third, be flexible. The method you used to write one story may not work for the next one. That’s okay. It doesn’t mean you’re broken or that your process is broken. It just means it’s different this time. This was a hard-learned lesson for me. It took reading Lawrence Block’s learning experience with regard to flexibility (in one of this Writer’s Digest columns), to understand that I wasn’t losing ”it”; ”it” had just morphed a bit. I’ve learned a lot from the experiences of other writers and from their prose. One of the most valuable learning experiences for me is to read other writers’ prose with an awareness of my own responses to it and analyze why it makes me feel how I feel. Then I try to apply that in my own work. Oh, and when you’ve written that story and read it out loud, making sure that (as Twain said) you’ve used the right word, not its second cousin, send it to the magazine or agent or publisher you really want to see it with, not something less. When I sent my first story to Stan Schmidt at Analog, the wisdom in all the writing magazines I’d read was that I should send it to a small non-pro market first and work my way up. And I should send something short that stood a better chance of being accepted. I went against that advice and sent a 19,500 word novella to my favorite magazine and got accepted. Short form: Always shoot for the moon. This interview was provided by PrentisLiterary.com. Gina “Tinkerbell” Miyoko is not your typical private eye. Armed with a baby blue Magnum, a Harley blessed with Holy Water by her dramatically disposed mother, and a Japanese mingei tucked in her pocket (a good luck charm from her Sherlock Holmes-obsessed father) Tink spends her time sniffing out delinquent dads in the San Francisco Bay area and honing her detective skills. But when her best friend Rose, an undercover agent, discovers there’s a stalker on her tail, she hires Tink as a bodyguard. Someone must be trying to intimidate Rose and scare her out of testifying in an upcoming case on looted Anasazi artifacts. But when Tink tries to flush-out the stalker, things take a far more dangerous turn. Deep in the jungle and far from civilization, Tink must decide who she can trust as she tries to unearth the ones responsible behind the pilfering and bloodshed―and still make it out alive. 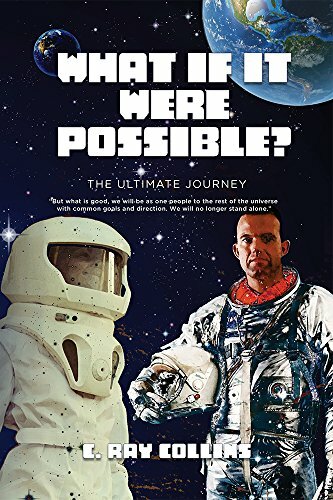 Ray Collins’s book, What if it Were Possible?, is a space-age adventure set not too far in the future. Protagonist, Ray Holland, finds himself heading up a top-secret mission that he didn’t sign up for. He had spent his career working in public relations for NASA, and is a self-proclaimed “average guy.” He couldn’t have predicted that he would be leading a crew of ex-cons on a recognizance mission into the unknown. Ray and the crew set out on this dangerous mission knowing they won’t see earth for years, if ever again. Like any good adventure, there are I was figurative and literal bumps throughout the journey. This is an entertaining space adventure story that appealed to the kid in me that is always hoping for a whirlwind adventure. The book flows well, but sometimes hit patches where it would drag. I wanted them to get to space so badly that the buildup was killing me. I liked the way the middle section was written with Ray’s logs giving insight into current scenarios and how much time had passed. I preferred the writing in the parts that dealt with space travel. Apart from a few typos the book is written very well. They were few and far between. Collins did a great job of explaining how the ship flew with the cabin area moving independently of the ship to keep that area level. He explained the ship’s technology in an understandable way. He also explained the wormhole and other space elements in a way that made sense. I didn’t get too lost in the details and could get a pretty good grasp on what was happening and how. I wasn’t a big fan of the “aliens” being so similar to the people of earth. I could have gotten past the physicality being the same, but there were an overwhelming number of similarities that I couldn’t wrap my head around. Being an 80s/90s kid, I loved the Star Trek and Star Wars throwback references. It was a nice way of keeping everything from getting too technical or heavy. It also showed Ray’s humanity and made his character one that will be identifiable to readers. The references also made it feel like the story wasn’t too far from our own reality or time. There is a love story that develops in the begginging chapters that I would of liked to see developed further, but the story takes a sharp turn into an entertaining space adventure story and left that bit behind. What if it Were Possible? was a good read that I recommend to readers of the Sci-Fi genre, especially anyone looking for a space adventure story that stays true to it’s roots. The journey through space was my favorite part and kept me engaged. Readers will root for Ray and his crew of misfits. I look forward to reading more of their adventures in the future. 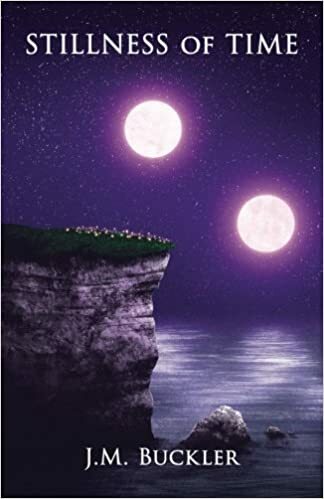 Stillness of Time follows the adventure of Elara and Cyrus as they try to make their way on a mysterious planet which holds secrets they may not want to learn. Where did you want to take the characters in book two of your Seeker of Time series? In Stillness of Time, I wanted to whisk my characters away from Earth and let them loose on an emotional roller coaster in a new world. The book series as a whole is about self-growth and discovery, but Stillness of Time is where the characters begin to face challenges that test their mental and physical endurance. In book two, Cyrus is more emotionally sound than Elara. I wanted the reader to see how their relationship evolved when things took a turn for the worst. Every character faces a struggle in Stillness of Time and the ending is the tipping point that sets the ball rolling for the third book in the series. One thing that stands out to me in Stillness of Time is the creativity embedded in this world. What was your inspiration for creating such an imaginative world? My inspiration for creating an imaginative world stems from my love of the unknown. As an only child, I would play in my room or the outdoors lost in my imagination. I would visualize far off places and pretend that I could travel to them in the blink of an eye. I always wondered if there were planets like ours with people like us living on them, and I would spend hours daydreaming about the ‘what ifs’ in life. In your novel I picked up some inspiration from other science fiction novels that I thought played well in the story. What were some of your sources of inspiration for this book? My inspiration for this story came from within. I enjoy science fiction but funny enough, I have never read any science fiction books other than my own. I do appreciate a good sci-fi film though and LOVE Star Wars. Will there be a third book in your Seeker of Time series? If so, where will the story go in the next book? Passage of Time is the third book in the Seeker of Time series and is set to release in the fall of this year. So far, it is the longest and most intense book in the series. The adult content gets kicked up a notch and the combative scenes will leave the readers on the edge of their seats. Characters are faced with their toughest challenges yet, and the final battle with Zenith takes a twist that readers will never see coming. “I had to believe the good in life always prevailed. I had to believe that in the end, the truth would triumph.” Mystery, danger, and heartache are all things Elara must face now back on Aroonyx. Jax continues to reveal dark secrets that challenge her and Cyrus’s trust, pushing them farther than they ever thought possible. Can they keep their identities hidden from Zenith and the Collectors? New and mysterious friends help the twins through their darkest hours while enemies lurk around every corner. Eventually, Elara and Cyrus discover things are not always as they seem. Unsure of their fate, the twins form an unbreakable bond that over time will be put to the ultimate test. Elara’s relationship with Jax evolves to a whole new level, only to be challenged during a life-changing night. Presented with a difficult choice, Elara is forced to make a sacrifice that alters the course of her future forever. Does she have the strength to accept this new fate? Can you truly love someone enough to let them go? Stillness of Time is the second installment in the Seeker of Time series. Filled with danger, adventure, romance, and heartache, the plot twist and turns around every corner, sending the reader on an emotional roller coaster that leaves them breathless, longing for more. Neutral Space is set in the year 3006 in a galaxy where intergalactic races have intermingled with humans. How did you set about creating the world in this novel? I love Star Wars and Star Trek. I grew up watching them. As I got older other sci-fi films like Total Recall (the original) and The Fifth Element became personal favorites. When I started writing Neutral Space I envisioned pieces of these different worlds from sci-fi flicks. I wanted something that felt familiar and inviting but still plausible in 3006. Alliances are broken which causes a war between Kelsairans and humans. I felt the Kelsairans were well developed and thought out. What was your inspiration for this race and how did it change while writing? The Kelsairan society is based on the Spartans. While they don’t have a whole population of slaves supporting their militaristic lifestyle they are forced to send one child to serve the army. Originally, I intended the Kelsairans to be much more hostile and harder to understand, something closer to true Spartans or even Klingons. As the story evolved and Kheda’s character took shape she had too many human characteristics to do so. She couldn’t veer so far from her people. Her love for a human wouldn’t have been convincing. Government lies of horrible heartless aliens was a more plausible reason for human’s to hate them than for Kelsairans to actually be so horrible. I felt that there were parallels to today’s society regarding war and political agendas. Were there any events that influenced you while writing? This story wasn’t meant to be an action adventure, or a military book. It was intended to be a modern Romeo & Juliet. A futuristic war between two alien races seemed like a great way to update it. Somehow during the writing process it took on a life of its own and morphed into the book it is today. When I decided I wanted them to have a happy ending Jackson and Kheda needed a way to end the war that was manageable for two soldiers. Solving a government conspiracy seemed like the only plausible answer at the time. I don’t know if I was influenced by actual events or a general mistrust of large government. What I can say is this story was actually written in 2006-2007 and later revised and edited for publishing. At the time we were in the middle of the Iraq war, Afghanistan War, and it had been five years since September 11. There was a lot going on in the world and it probably influenced the original choice to create a war between two races to begin with. Will this be the first book in a series? If so, where do you see the story going in the next book? This was not the first book in a series. I doubt I will ever write another sci-fi novel again. I honestly feel like a fraud. I love watching the genre and even reading some of the less technical novels, more along the line of space operas. When it comes to writing it though, I don’t feel like I do the genre justice. It’s why I hesitated publishing Neutral Space in the first place. For the most part I think I got lucky with Neutral Space. I tried something new and it worked. I won’t tempt fate again. Tyler Wandschneider’s Lockheed Elite is a thoroughly enjoyable sci-fi crime adventure akin to an episode of Firefly than anything else. We jump between the perspectives of a cast of intergalactic anti-heroes as they dance on the edge of the law, caught between the authoritarian Galactic Command and the ruthless criminal underbelly of the galaxy. The plot is spiced up with more than a few twists and thoroughly human and flawed characters that keep you engaged right up until the end. If you’re a fan of the science fiction genre, you won’t go wrong with picking up this book. I think the word that really summarizes Lockheed Elite is: competent. The writing doesn’t sparkle off the page; it’s straightforward in its delivery. There’s a certain relief to not having to dig through layers of purple prose to find any kind of enjoyable story. It’s an easy read, especially if you’re already au fait with the science fiction genre. The writing was absorbing precisely because it was easy to digest. I found myself chewing through ten to twenty pages at a time before I even realised it. If the goal of a writer is to engage the reader, then Tyler Wandschneider has certainly achieved it. This is not to say the writing is flawless; it occasionally struggles with articulating emotions. Characters will pontificate on the stakes or over-explain themselves, even at points where the tension and pacing should be amping up. The effect is something of a stumbling block in some of the most exciting scenes, as we read through one character or another describing how and why they feel a certain way. The book develops it’s characters slowly throughout the novel, letting them build into complex characters towards the end of the novel. Although characters don’t feel like they have their own voices in the beginning, it feels more real towards the end of the book. 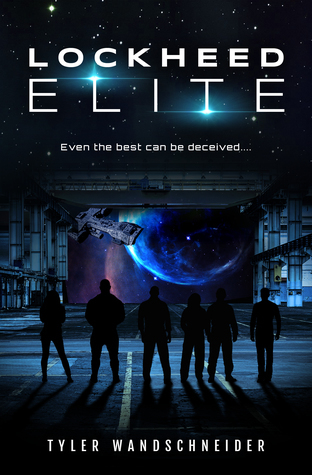 Lockheed Elite is engaging, and it kept me reading all the way through to the end. Despite my above quibbles, I really did enjoy it. I think Wandschneider has done a great job in writing a solid, exciting book. I only wish that it perhaps had a bit of a stronger start and I think this would be a stellar example of a science fiction genre piece. 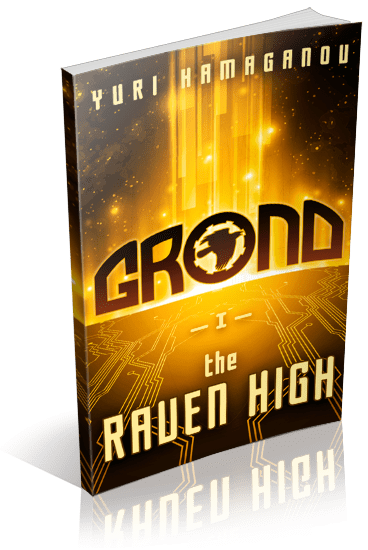 GROND – The Raven High is a sci-fi book set in the future where pollution has caused giant storms across the planet. What was your inspiration for the setup to this thrilling novel? I have a lot of inspiration sources, mostly the Golden Age Sci-Fi and the movie of the eighties, from the “Masking” of Henry Kuttner to Thing and Aliens. But most of all I was influenced by the old and almost forgotten Young Adult Sci-Fi – Earth Star Voyager. I saw it when I was at school, and loved much more than Star Wars. This should be a good sci-fi for teenagers – exciting, realistic, without superheroes, but with smart and courageous heroes. And it was Earth Star Voyager that I first saw the idea of a catastrophic climate change and the search for salvation in space. I was so pleased that I decided to create the same story. The same, but completely my own. No sooner said than done. I recently reviewed Earth Star Voyager for the first time in twenty years. And he’s still good. So, if you are looking for inspiration for a great space adventure – you are welcome. Olga’s nanny is an android that I genuinely started to care for towards the end of the novel. What were the driving ideals behind the characters development throughout the story? Creating Olga, I wanted to get rid of two obsessive stereotypes of teenage literature. Firstly, the main character isn’t the despised loser or ordinary schoolgirl, who suddenly finds herself in the center of the universal conspiracy. Secondly, Olga’s superhuman abilities don’t fall on her in one fine morning, free and without consequences. There ain’t no such thing as a free lunch in her world. The image of Arina combines the features of an ideal mother and ideal teacher. She really loves Olga, so, when necessary, she can be very strict and demanding of her ward, otherwise, Olga won’t stand the load of enormous responsibility. The story is set in a post-apocalyptic future where the Earth is ravaged by pollution. What were the morals you were trying to capture while creating your characters? Morality is very simple – dreams and good intentions won’t change the world for the better. But the world can be changed for the better by persistent daily work. There are thousands of brave book heroes who save the world by simply believing in themselves and accomplishing a great feat in the battle against the system. Olga also saves the world, but in a completely different way – just goes on the next shift at her space plant. Day by day. This story was written in Russian and translated to English. What were the challenges you faced when translating? Most of the difficulties were caused by two things – compliance with the size of phrases and slang expressions, to which it is hard to make a direct translation. 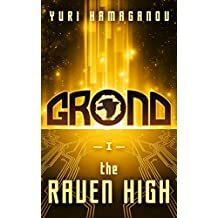 The Raven High is book 1 in the GROND series. Where does book two take the story? In fact, the GROND story begins with the second book, GROND: The Blitzkrieg. 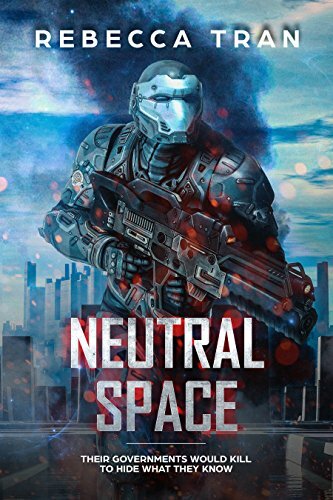 And at the beginning of this story, Olga will be forced to leave her orbital home, join the gang of space mercenaries and take part in the brutal war of the Martian colonists for independence. It’ll be cool! 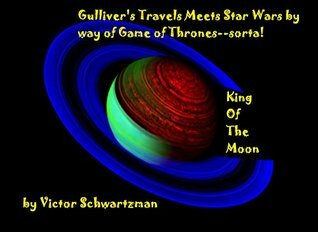 King of the Moon by Victor Schwartzman is a story about a young king who truly does not want to be king. The book focuses on one week in the life of the king and everything that he has to deal with from politics to courting women. It is a hilarious satirical look at other works of art such as Gulliver’s Travels, Star Wars, mixed in with Game of Thrones. There are moments of jokes (some of which are dirty such as the title of Chapter 2), and cheap shots. Just a few things that makes a book incredibly entertaining, especially for someone who may not enjoy reading. This was definitely an interesting story straight from the beginning. Some of the sentences get confusing while reading them such as “I needed it cleared because I needed to get my head clear to me I clearly needed to get out of here!” the multiple uses of “clear” shows how silly the English language is, and the lack of punctuation makes it difficult to understand what Schwartzman is really trying to say. Readers are in the head of the king, so they get his silly random thoughts from dancing like Gene Kelly to trying to make serious decisions for the kingdom. It is an interesting idea that the king gets reincarnated, though the king doesn’t come back at birth. He comes back as twenty seven year old man. I’ve read a lot of stories where people who are reincarnated start out from birth, but this is the first story that I’ve read where the person gets reincarnated as an adult and I enjoyed the originality in the way that it was presented. Schwartzman does a great job at presenting the inner thoughts of his character in a way that reflects how many of us think, random and all over the place. He pokes fun at a lot of different things; some are obvious while others seem a little more allusive. There is even a little bit of romance in the tale for those who enjoy romance. Dialogue between characters was funny and natural, transitions and description scenes were not forced nor were they too extensive. Everything fit perfectly and made the reader get lost in the story, in turn losing track of the time! A lot of things happen within this one week of the king’s life, but it keeps things interesting. It keeps the story moving and the readers interested to see what will happen next. There are many different literary genres wrapped into one story. There is truly something for everyone in this book. I would recommend this to anyone who wants a good book to read regardless of preferred genre. If you are not much of a fan of reading, even you will enjoy this book. It is hard to find something that is not entertaining about this book. I would give it a rating of 4 out 5 because frankly it felt like there was more story to be told. The story really leaves the reading wanting more, and hoping to see more things by Victor Schwartzman. 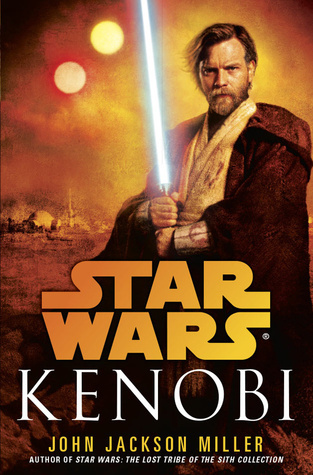 With the death of Anakin Skywalker, the destruction of the Jedi order and the rise of the Empire, Kenobi goes to Tatooine to protect Luke Skywalker, but this is not the story the book follows. This is the story of a lonely shop owner in the middle of the Tatooine desert that is bored of serving moisture farmers and subconsciously wants more from her life; enter Kenobi, or crazy Ben Kenobi as the farmers soon call him. He comes at a time when all their lives are poised for change. Sand People are attacking in force threatening the farmer’s life and property. The farmers respond by contributing to a protection fund that is essentially an army called the Settlers Call. Bu the Settlers Call is a pretense for a criminal enterprise with ties to Jaba the Hutt. No matter the outcome, everyone’s lives will be changed and Kenobi is called on once again to be the hero. Kenobi is such an interesting, intrepid character with a thrilling and traumatic back story. It’s hard to go wrong with such a protagonist. The book it titled Kenobi, which leads you to believe that this is who the story is about, but you would be wrong. The book should be titled Annileen, the lonely yet dutiful shopkeep. The book follows her for more than half the story along with a few other characters. Most of Kenobi’s parts come in when he’s meditating, trying to talk to the ghost of Qui-Gon Jinn and reflecting on his daily actions. He reluctantly interacts with Annileen where a brooding and haunted Kenobi is revealed. The most action you get from him is when he fights a krayt dragon at the end of the story and eventually saves the day. The ending of the story is bitter sweet, but the story overall is a weak reflection of the Anakin story from episode 3 where Anakin turns to the dark side, has a chance to turn back, but doesn’t. I have absolutely no complaints about the writing. John Jackson Miller is a great writer and a veteran contributor to the Star Wars universe. All of my complaints come from the overtly pedestrian story. Especially coming out of episode 3 where huge galaxy wide changes were taking place. It’s possible a point was being made as to the relative importance of one’s life or actions, but the point was not weighty enough to carry an entire story about a character such as Kenobi. I would recommend this book to fans of the Star Wars universe, as it gives you that glimpse into Kenobi’s life when he arrives on Tatooine, but be ware; it’s mundane.